Personalized pen favors are perfect for bridal showers, baby showers, weddings, graduations, special occasion parties and more. 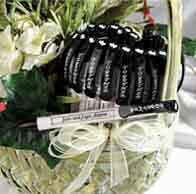 Personalized favor pens have a rotating barrel with 4 different messages! 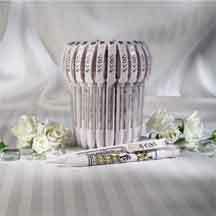 The wedding favor pens are sure to be a crowd pleaser. You can even use them as placecard holders. Just put one of the personalized pens at each guest place and place a card in the little hook. How cute and practical. The minimums are really low, so you can have personalized favor pens for small and large events. The personalized favor pens are great to give guests as the sign your guest book. Just tell them to take one! They are also great for save the date annoucements, rehearsal dinners and for out of town guests that couple not make it and sent you that nice gift! These personalized favor pens are very unique and useful gifts for your guests. They feature a rotating barrel that displays 4 different messages. Every time you click the personalized favor pen, the barrel rotates to display a different message. Black ink only. Black text only. 35 personalized favor pen minimum. 2 week lead time. 1 weeks for rush order. Price is price per personalized pen. Put your four lines of personalization in the comment section below. Up to 40 characters per line. These personalized favor pens are very unique and useful gifts for your guests. They feature a rotating barrel that displays 4 different messages. Perfect for announcements, invitations, family reunions, church functions, homecomings, birthday parties, sweet sixteen celebrations, bar and bat mitzvahs. Every time you click the personalized favor pen, the barrel rotates to display a different message. Black ink only. Black text only. 50 personalized favor pen minimum. 2 week lead time. 1 weeks for rush order. Price is price per personalized pen. Put your four lines of personalization in the comment section below. Up to 40 characters per line. These personalized favor pens are very unique and useful gifts for your guests. They feature a rotating barrel that displays 4 different messages. Every time you click the personalized favor pen, the barrel rotates to display a different message. Black ink only. Black text only. 50 personalized favor pen minimum. 2 week lead time. 1 weeks for rush order. Price is price per personalized pen. Put your four lines of personalization in the comment section below. Up to 40 characters per line. These personalized favor pens are very unique and useful gifts for your guests. They feature a rotating barrel that displays 4 different messages. Perfect for announcements, invitations, family reunions, church functions, homecomings, birthday parties, sweet sixteen celebrations, bar and bat mitzvahs. Every time you click the personalized favor pen, the barrel rotates to display a different message. Black ink only. Black text only. 35 personalized favor pen minimum. 2 week lead time. 1 weeks for rush order. Price is price per personalized pen. Put your four lines of personalization in the comment section below. Up to 40 characters per line. Personalized Favor Pens - It`s A Boy These personalized favor pens are very unique and useful gifts for your guests. The personalized favor pens feature a rotating barrel that displays 4 different messages. Every time you click the personalized favor pen, the barrel rotates to display a different message. Black ink only. Black text only. 35 pen minimum. 1 week lead time. Prices start at $1.99 per personalized favor pens. Prices are based on quantity. Put your four lines of personalization in the comment section below. 40 characters max per line. Personalized Favor Pens - It`s A Girl These personalized favor pens are very unique and useful gifts for your guests. The personalized favor pens feature a rotating barrel that displays 4 different messages. Every time you click the personalized favor pen, the barrel rotates to display a different message. Black ink only. Black text only. 35 pen minimum. 1 week lead time. 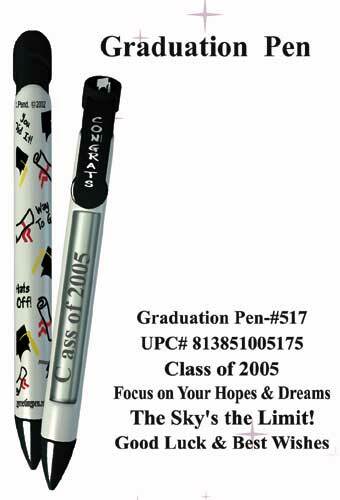 Prices start at $1.99 per personalized favor pens. Prices are based on quantity. Put your four lines of personalization in the comment section below. 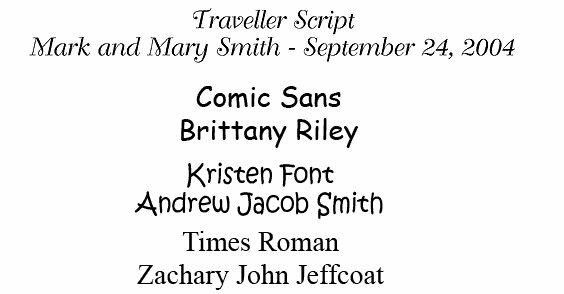 40 characters max per line. This category has a total of 45 products divided in 28 per page.